When it comes to expensive pharmaceutical treatments, there’s a new entry that’s likely to renew the debate about drug prices. Biogen’s (BIIB) new medication Spinraza, which treats a rare spinal disorder in children and adults called spinal muscular atrophy (SMA), will carry a price tag of $750,000 for the first year of treatment, with subsequent annual treatments dropping to $375,000 per year per patient. The first year of treatment is more costly because it requires six doses, while only three doses are required in the following years. The pricing reflects the wholesale cost, and doesn’t account for discounts, insurance coverage or rebates that might lower the out-of-pocket price for patients. Spinraza’s pricing may be “the straw that breaks the camel’s back in terms of the U.S. market’s tolerance for rare disease drug pricing,” said Leerink analyst Geoffrey Porges, according to biotech publication Endpoints News. While the drug’s approval earlier this month by the U.S. Food and Drug Administration was cheered by advocates such as the Muscular Dystrophy Association and Cure SMA, the cost is likely to renew questions from patients, insurers and lawmakers about how drug companies set prices. The price “was carefully considered,” said Matt Fearer, a spokesman for Biogen. He said the cost “is fairly in line with other therapies for rare orphan diseases” and took into account the clinical value of the medication, as well as the need to fund other research and innovation. 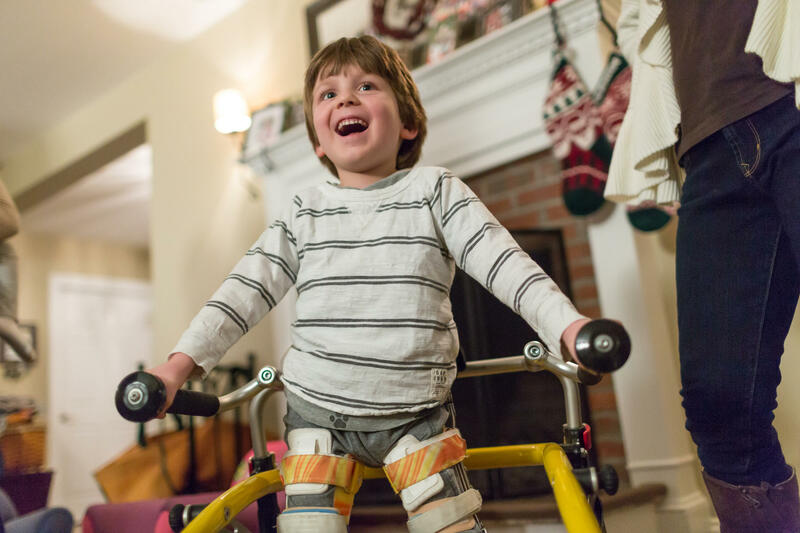 The medication is what Biogen describes as “the first only treatment approved in the U.S.” for SMA, which is a genetic disorder that affects muscle movement and limits a person’s ability to breathe, swallow or walk. The disorder affects about 9,000 patients in the U.S., another 10,000 in Europe and about 1,000 in Japan, Biogen estimates. Infants with the disorder rarely live past their second birthday, Fearer added. While the pharmaceutical industry argues that the high price tags are necessary to offset the cost of research and development, critics have questioned whether other forces are at work. Porges noted that Spinraza has the potential to serve as “the Sovaldi of rare disease drugs” in terms of stirring debate. Sovaldi, a hepatitis C treatment from Gilead, carries a $1,000-per-pill price tag and launched lawsuits, claims of price gouging and a congressional investigation. Spinraza is also likely to cost billions to treat patients, with analysts projecting that Biogen will book at least $1 billion annually soon after its release. It’s not only new drugs that are raising questions about pricing. A Senate report published earlier this month looked at how pharmaceutical companies engineer huge price hikes for off-patent medications. The most famous case may be that of the decades-old drug Daraprim, whose cost rose by 5,000 percent after Turing Pharmaceuticals bought the rights to the medication. The report found that the pharmaceutical companies engage in five central elements when engineering sharp price hikes. First, they acquire sole-source drugs, meaning there is only one maker of the medication. Second, the drugs are considered the best treatment available. Third, the medications treat small markets, which aren’t attractive enough to encourage rivals to develop competing treatments. Fourth, they sell the drugs through a closed distribution system. The fifth strategy is price gouging, or maximizing profits “by jacking up prices as high as possible,” the report found. Despite increased political scrutiny on drug pricing, Americans aren’t likely to see lower costs anytime soon. Speciality drug prices are expected to increase by 18.7 percent in 2017, following a jump of 18.9 percent this year, according to consulting firm Segal Consulting. The overall cost of drugs for people under 65 will increase by 11.6 percent, slightly more than this year’s 11.3 percent. The increase is largely due to price increases, the report said.